By Sia in Mobile. Updated on December 8, 2017 . There is no shortage of translation apps these days. Common though these apps may be, many translations apps falter when it comes to expressions and phrases as apps tend to do one-to-one translations with them. Softissimo Inc. is well aware of the limitations that many translation apps have, which is why the company has developed Reverso Context. Available on iOS and Android, Reverso Context functions much like every other translation app available. Users are able to insert a word into the provided text box, after which the app would spit out the translated version of the word, complete with examples. While word translations are useful, the main attraction of Reverso Context lies in its ability to translate idiomatic phrases and expressions. 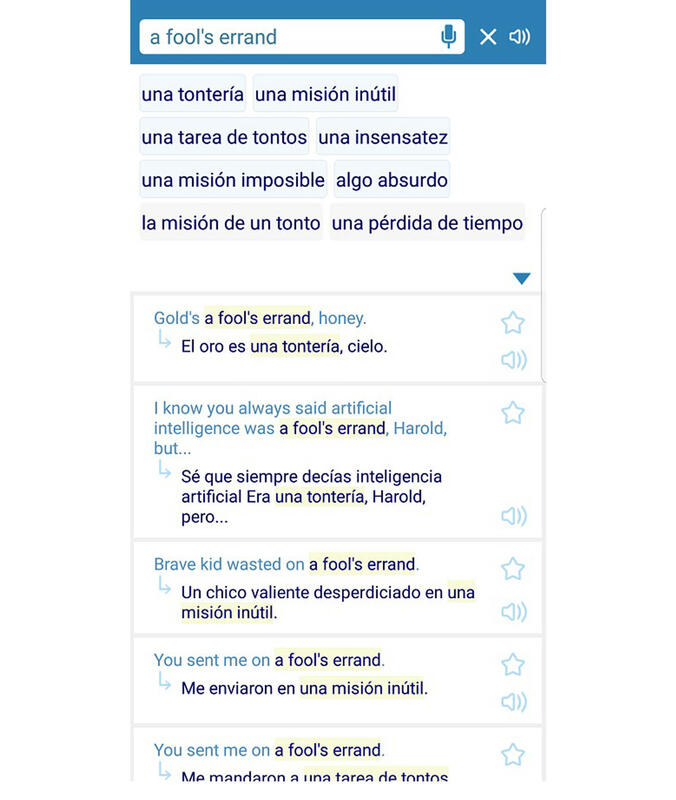 For example, if I were to ask the app to translate the phrase "a fool’s errand", the app would show me a result that captures the meaning of the phrase instead of a literal translation of the phrase. This gives the app a sense of nuance that very few translation apps have. Besides being a handy pocket translator, Reverso Context can also assist the user in learning the language as well. The app comes with flashcards that are generated based on your word search history. While this is no substitute to proper language education apps such as Duolingo, it is a great side material to have on hand. If there is one drawback that Reverso Context has, it has to be the language support. At the time of writing, Reverso Context is only able to support twelve languages, with a large majority of the languages being focused on those that are frequently used in Europe. As such, those looking to brush up on their Chinese skills will not be able to do much with the app. That being said, the addition of new languages is something that happens over time, so it is entirely possible that more languages will be added in the near future.